Metal is such a saturated genre lately, with so many subgenres and bands just rising out of the ground to try and claim their fifteen minutes of fame. With so many bands I find myself questioning how some of the older bands that started their careers in the early 90s and 2000s are still doing. 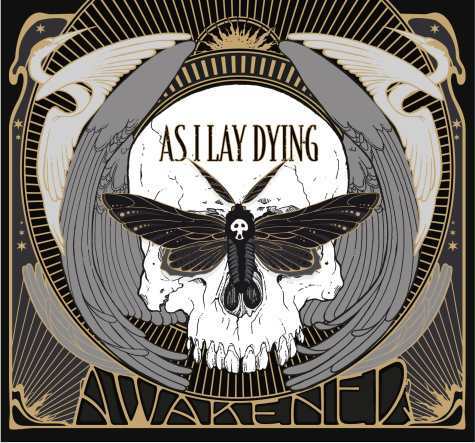 My question seemingly has already been answered for me, with As I Lay Dying’s newest album, Awakened. Being an already well known and established band, the question is; how does their new release fare? The intro track of any album usually does two things. One, it will set up the mood for an album and two, it will set up your expectations of an album, what you should expect out of the rest of it. Cauterize tells me two things about this album. It tells me that this album follows through with aggressive and powerful tones and excellent sounding metal riffs, great vocals, and plenty of solos. Tim Lambesis shines through as usual, delivering powerful heavy hitting vocals, along with Josh Gilbert providing equally powerful clean vocals on every track on the album. Lyrically the content is as powerful as ever, many tracks providing memorable choruses by Josh and verses by Tim, heard in many tracks. Tim deserves accolades for being one of the more ”understandable” vocalists in the metal genres, pronunciating his lyrics clearly. My favorite tracks of this record are Cauterize, Defender (a powerful track both vocally and lyrically, offering positive inspiration), and Overcome (the intro solo to the song is simply beautiful), but really every track is good on this record. That in itself while initially being a positive aspect, also lends to the fact that there isn’t a huge deviation in sound between tracks. They’ve stayed relatively true to their previous styles and sound, with some songs incorporating heavier metalcore and thrash metal influenced riff work. As stated previously there is a lack of experimentation within their last few albums that they’ve release and that is also true for this one. While it never hurts to stick to your established sound, it also never hurts to stray the path and try something somewhat different. There’s not much more I could briefly say about this album without going into a detailed track by track review, so please excuse this rather short review.. Awakened is a strong album, well produced, well written and well sounding. Fans of As I Lay Dying will love it, fans of metal and its subgenres will enjoy it, concert goers and moshers will love it played live (there are plenty of moments in this album for moshers to just let loose). This album in my eyes is a true example of Modern American Metal. Pick it up when it drops September 25, 2012.